The series-hybrid powertrain, in which motive power is provided exclusively by one or more electric motors that run on electricity produced by a combustion engine, has been popular in trains and boats for many decades. In cars, it's been confined to the BMW i3 REx and the Fisker Karma (now Karma Revero). Even the first-generation Chevrolet Volt turned out to have a mode in which the gasoline range-extending engine clutched directly into the powertrain to provide torque to the wheels (after the battery was depleted), because that proved more energy-efficient at high speeds. For markets like the U.S., where highway speeds are more common, that decision made sense—and the second-generation Volt is essentially a conventional plug-in hybrid, in which the engine and motor frequently combine at their most efficient settings (once the battery is depleted). But in other markets, where urban or lower-speed driving makes up the majority of usage, a series hybrid might make more sense in terms of energy efficiency. That's the thinking beside the Nissan Note e-Power, so far a Japan-only vehicle that is powered only by a Leaf electric motor, giving it the smooth, torquey, stepless driving feel of an electric vehicle. Rather than the Leaf's 24- or 30-kilowatt-hour battery pack, however, e-Power uses a conventional hybrid battery of less than 2 kwh, and a small gasoline engine that acts solely as a generator. 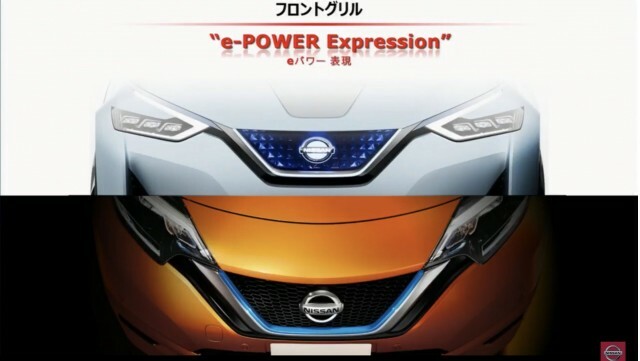 Japanese vehicle regulations give a huge financial incentive to hybrid cars, and the e-Power system in the Note model was one way for Nissan to obtain those advantages while building on its experience with battery-electric cars. Where this comes into play is that the e-Power setup seems likely to be destined for more applications than a single compact hatchback sold only in Nissan's home country. 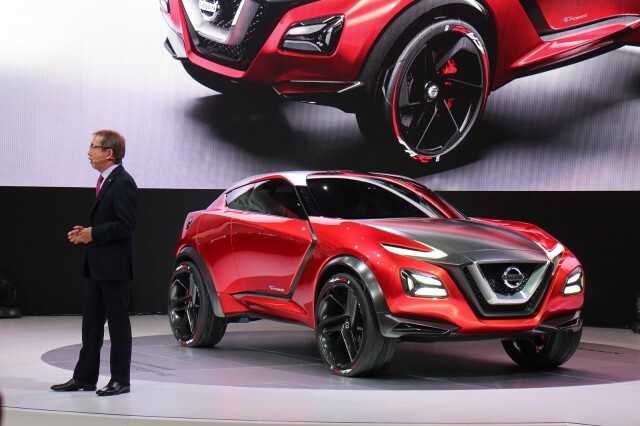 When it was unveiled in the fall of 2015, the Nissan Gripz Concept was a design study for a small, extravagantly styled crossover utility vehicle along the lines of the Toyota C-HR. It was also rumored at the time to foreshadow the replacement for the much-loved Nissan Z sport coupe. The resulting wailing and moaning from sports-car fans essentially overwhelmed any serious discussion of its powertrain. At the time, that was vaguely described only as a "series hybrid" system called "Pure Drive e-Power." Last year, however, that powertrain became reality in the Note e-Power model that now represents 70 percent of all Note sales in Japan. It's significant because Nissan continues to show the Gripz Concept around the world—we were reminded of it by announcement that it would appear at the Buenos Aires auto show. And what's under the hood is no longer a theoretical technology exercise but an actual production powertrain, one rumored to show up in another concept car this fall as well, this time for a Nissan Juke replacement. 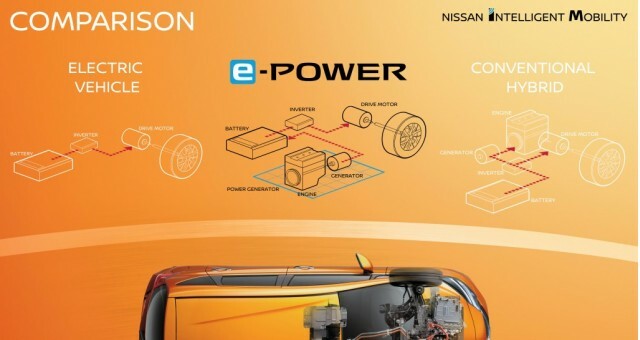 We remain skeptical that U.S. buyers will ever get a chance to buy a Nissan product with the e-Power series-hybrid system. For the rest of the world, however, it may be Nissan's approach to vastly more efficient gasoline-powered cars—with a little quiet marketing for the superior driving experience of all-electric cars as an extra bonus.